Tuesday night was packed with Georgia high school basketball games. Here are some of the highlights from both the girls and boys games. For the girls, class AAAAA fourth-ranked Statesboro was served its first region loss of the year. The Blue Devils had one loss prior to their Tuesday matchup against Wayne County, but ultimately fell 52-48 to the Yellow Jackets in overtime. After surpassing Morgan County as the top-ranked team in class AAA, Jefferson backed their ranking by serving the Bulldogs a 68-55 loss to remain at the top of the class. Leading the Jefferson offense was Freshman Natalia Bolden who put up 18 points, while Sophomore Livi Blackstock and Freshman Deshona Gaither both racked up 14. In class AA, Bryan County’s Olonna Rawls scored a tremendous 35 points to help seal the deal on the Redskins’ second victory over Swainsboro this season. In class A-Public, top-ranked Marion County faced-off against second-ranked Greenville. The two previously met and fought a hard game, resulting in a 71-70 win for the Eagles. The Patriots played Marion County close, but a slow 7-point first quarter put the team behind early. The Eagles walked away with a 73-63 victory and remain undefeated on the season. En route to a 57-20 win over Howard, Spalding’s Aniaya Jester scored her 1,000th point of her career, ending the night with 14 points. For the boys, Spencer took a strong 33-16 first-quarter lead against Callaway after shooting 6-7 from three-point range. The Green Waves continued to pile it on throughout the game, besting the Cavaliers 110-75 to pick up their eighth region in class AA region 5 where they remain undefeated. Chattooga Senior Jundraius Adams led the Indians with 30 points during their 74-38 win over Gordon Central. Adams’ stellar night was fueled by his excellent outside shooting, which allowed him to sink seven 3-point shots. 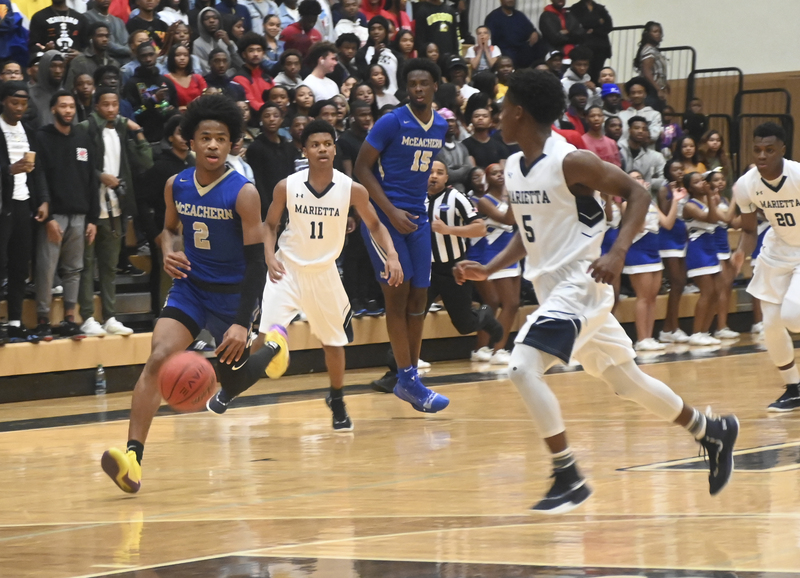 In the state’s highest classification, top-ranked McEachern extended its undefeated season with a 70-53 win over North Paulding. After dropping a 23-point first quarter, the Indians were held to just 8 points in the second. They came back strong scoring 27 points in the fourth to seal the deal on their 20th consecutive victory. 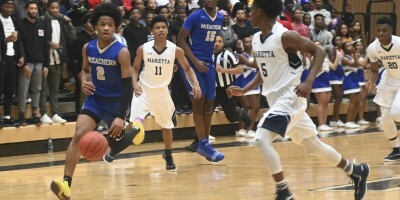 Second-ranked Meadowcreek took on a Parkview team it soundly defeated 73-54 earlier in the season. Tonight, the Panthers gave the Mustangs a bit more fight, outscoring Meadowcreek 21-15 in the first quarter. Parkview also outscored Meadowcreek 21-17 in the fourth, but failed to hold Meadowcreek back from putting points on the board as the Mustangs picked up the 69-62 win.